Which makes me want to breakout into song with “Hard Habit to Break” by Chicago! Habit as defined by wikipedia: a habit is a routine of behavior that is repeated regularly and tends to occur unconsciously. The American Journal of Psychology says it is a fixed way of thinking, acquired though previous thinking and repetition of a mental experience. 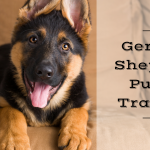 I was talking with a client the other day trying to explain why she is having trouble getting an 8 year old dog who has pottied in the house his whole life to learn to go potty outside. 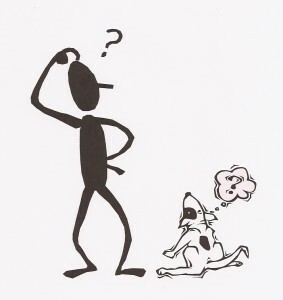 Chances are yes, unless the dog is geriatric and suffering from dementia, that he can learn. It is going to take a long time! Doctor Maxwell Maltz observed that it took a minimum of 21 days to form a new habit; and although he was later disproven the fact remains that it takes a pretty long time to form a habit. It takes even longer to break a habit! Think about it, you do it basically long enough that it is almost unconscious thought. Imagine how hard it would be to change unconscious thought to conscious thought? Have you ever found yourself on your off day headed toward work just out of habit? Turning a certain direction and following a certain way becomes basically a habit. 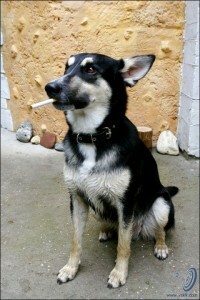 Now think of addictive habits like smoking, drugs and alcohol those habits are nearly impossible to break without help. 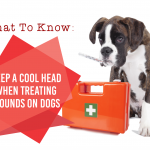 Now understand that your dog is somewhere in-between. 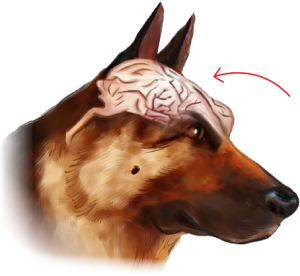 Dogs can definitely show unconscious behavior when it comes to habits, but dogs don’t have a conscious level to the thought process that we as humans do. Meaning I can remind myself “why” I’m not eating at 5 p.m. anymore; your dog doesn’t know the “why” he just knows something is different and that makes his behavior harder to change. 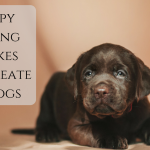 Like a super addictive habit, your dog needs help breaking it. And, because he can’t rationalize the “why” it will take a much longer time to break. Imagine treating your dog like a puppy and taking him outside every two hours for 21 days. 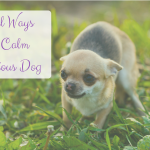 Now multiply that by however long you think it would take for this new behavior to become a habit or an unconscious behavior for your dog. Personally, I have to hypothesize but I think this would take at a minimum many months later. The problem is that we as humans are living in a faster paced world. Everything seems to be “on-demand” or nearly “instant gratification”. We are packing 80 hours into a 40 hour work week and life is different than it was decades ago. And people’s expectation of quick or instant fixes are a lot higher. This sets you both up for failure. It sets you up to give in too soon and give up to early. And, it can set him up for death. 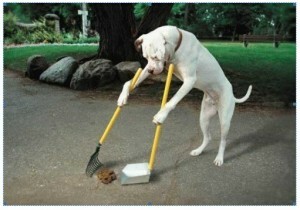 Dogs that soil their homes are more apt to be taken to shelters where often they are euthanized. 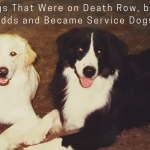 Some dogs are shifted from home to home to home where they are physically and mentally abused (thanks to these bad habits) prior to finally either being left at a shelter to be euthanized or abandoned outside to starve to death or get hit by a car or eaten by another animal. In my career I have seen horrors much worse than euthanasia. For more on why I think euthanasia isn’t such a bad thing click here. The point is to keep bad habits from starting. Don’t wait for bad habits to form and then figure you will deal with them (olden days training mentality); instead reward good behavior! 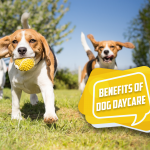 By rewarding good behavior your dog can then choose that and avoid the bad habits. For instance, if I reward my dog for following me around, and laying at my feet, he chooses this behavior instead of raiding the trash, stealing my underpants, or sneaking off to potty. AND, if I have rewarded him for this and met his exercise needs and my dog is not in my visual periphery… I know he is probably up to no good. When I find him doing something wrong, it gives me the opportunity to TEACH him. I am not talking about yelling at him or punishing him, I mean I can teach him what my expectations are and give him an incompatible behavior. For instance if he is on a down stay on his bed (or the “place” command as we call it), he can’t jump on counters, jump on me, steal things or sneak off to potty. 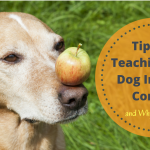 When you see a bad behavior, step in and teach your dog so that you can change it. If my dog is sneaking off to another room to pee or poop. I am going to shut the doors to the other rooms, use a baby gate, keep my dog on a leash, or ALWAYS follow him around. And, if I can’t follow him; I am going to use a crate so that he doesn’t get this opportunity and begin to form a bad habit. And, of course get him out often and on leash with me to make sure he is going potty outside. If my dog is stealing underpants 😉 I am going to put my things away. OR, I could leave them out in the open, put my dog on a leash and make sure my dog knows “Leave It”. If my dog is jumping on visitors. I am going to put him on a leash and teach him to sit or down to be petted. 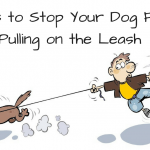 If my dog is pulling on his leash, I am going to teach him leash manners for more on that and help with it click here. You must realize it is going to take extra time to break it. You MUST control him and his environment to ensure that he doesn’t ever (mostly ever) have the opportunity to do it again. 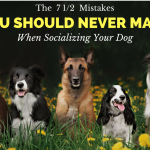 If, for example, you are working on potty training and you get busy and perhaps are not paying attention and your dog is able to once again go back to his spot and going potty in the house; you are automatically back to square one. It doesn’t matter if he hasn’t had an accident in 4 weeks, he is likely to better remember his habit and the mistake that he made today or yesterday. It is imperative that he go MONTHS without reverting back to his habit. Once several months have gone by (I know that this sounds daunting but you will get into a habit yourself), then you may go back to slowly giving him more privileges and opportunities. But if he makes a mistake it is back to a strict regimen. The Truth is Bad Habits CAN Be Broken… But It Is Going To Take A Lot Of Time And Consistency!!! My dog is a 6 yr. old Maltees. She will ask to go outside and then just stand and look off or walk around and sniff without doing her job. How do I get her to pee or poop when she lets me know she wants to go outside? She sometimes will come back inside and pee or poop on the carpet. HELP!! I have 4 year old rescue dog that was kept in cage, outside 24 hours a day with several dogs in cage. He was abused. He won’t eat NOR DRINK during day. Will eat around 7 pm and starts drinking then and until about 1 am and then a little more thru night. Consequently, he pees during night. I can’t cut off his water as he gets so little as is. He was in crate his whole life and that doesn’t go over with him. We now take turns during night taking out for quick pee in fenced yard. He does not pee in house during day even when we leave for several hours. My dog, a 6 year old wheaten terrier, has been expressing his authority for quite some time. He will jump up on the bed and run around it and mark. He has run across a brand new couch and mark. When we go out he is either crated or kept in a room that he cannot mark in, such as the kitchen. I have been working on cleaning out a spare room to be utilized for another purpose and when I got up this morning he had gone in, during the night, and marked the room. I know he didn’t have to go pee because when he has to go out the usually walked up to my face and shakes his collar to wake me up. I’ve never had a dog like this and am really struggling with his behaviour. He cannot be trusted. My dog barks about every hour in his crate. When we let him out, he just lays there ( sometimes he relieves himself)He is a 3 1/2 month old white lab. Should I just let him bark? Driving us crazy!